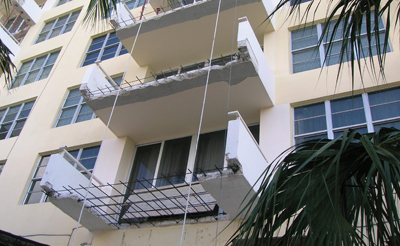 Maintaining your condominium building can be both challenging and rewarding. At times, it may feel like you are at odds with your building, but like any relationship, it is best to understand the factors that cause problems in order to solve those problems. Understanding why reinforced concrete structures fail and how to prevent this failure will be the focus of this article. Scott O’Connor is the TRC Worldwide Engineering Restoration Director in Southeast Florida. He received his Industrial Engineering BS from Northern Illinois University and has more than 40 years of experience in forensic failure/ construction material sciences. Managing waterproofing and restoration projects for condominiums, multi-use, and historic projects is his forte. 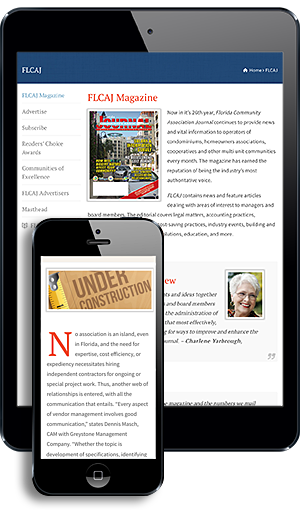 He is a Florida state licensed provider who writes and conducts continuing education classes relating to the concrete restoration industry in addition to authoring articles. O’Connor is very active in his local community where he has served more than 10 years on the HOA Board. The most efficient way to prevent premature failure is to identify the primary mechanisms that cause failure. 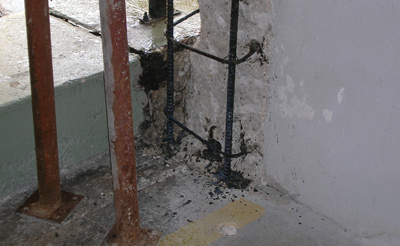 Water intrusion is a major culprit in structural reinforcement corrosion and has the opportunity to enter the roof and building envelope in various ways. Entry points on the roof are any place that has a penetration—HVAC ducts, A/C unit stands, vents and stacks, and even the hatch itself. 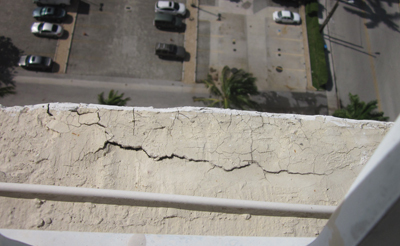 The flashing and membrane joints should be maintained annually to prevent water seepage under the membrane. Ponding water in small amounts is usually not reason for concern, but in cases where the roof is not properly pitched or scuppers and gutters need replacing, large areas of pooling water can cause algae/fungi growth, which results in premature aging of the membrane. And no one likes premature aging! 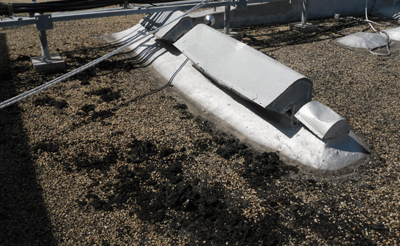 Seriously, organics can reduce the life of a roof by up to 10 years. Water weight is another consideration for large ponding areas as the weight may exceed intended limits. Damaged or improper flashing contributes many water and wind-driven rain entry points. Flashing can be easily damaged during a significant afterwards. Windows and doors are another entry point for water intrusion. Wind and wind-blown rain can intrude where the window or door frames are not ‘square’ or fitted securely into the structure or there is a glazing or caulking deterioration that allows water to enter the structure. Water entering through window attachments is common. Water enters through tracks or framing. 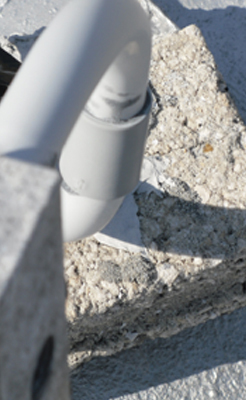 Water can enter through the anchoring holes, through improper attachments, clips, and improperly applied sealant. Particularly in northern Florida, glazing can become damaged due to changes in temperature since glass moves at a different rate than that of vinyl framing or aluminum and can shear glazing sealants and bring about leaks. Although the water enters laterally, it is widely understood that the water will seek lower ground and create moisture issues inside condominium unit ceilings, walls, and floors. A thorough interior inspection provided by a reputable engineering company will include thermal imaging to detect moisture in the insulation, wall board, and framing. For coastal units, there is an added threat that contributes to premature failure in reinforced concrete structures—that conspirator is salt. Water containing dissolved salts easily penetrates unprotected steel reinforced concrete and masonry walls to cause corrosion. In some cases, chloride-ion induced corrosion of steel reinforcement can cause total slab failure, and in extreme cases, the steel within the building envelope needs to be replaced. This is an inconvenient and costly process (Figure 1). Florida sunlight is warm and wonderful—unless, of course, it is damaging the coatings and membranes on your roof system. Roof and deck membranes, coatings, and paint can all be damaged by exposure to sun (UV) light over time. Exposure to thermal cycling (contraction and expansion of roof materials) stretches the membrane, eventually the material’s ability to return to its original shape fails. Breakdown of the membrane allows water to get to the substrate materials and will accelerate damage to the structure. (Figure 6). Seams, welds, and other changes of elevation are primary failure points when membranes become less elastomeric. (Figure 3). Rain, salts, wind, and sunlight are all primary mechanisms that contribute to pre-mature failure of reinforced concrete structures. So, what is a condominium property manager to do to combat the effects of these elements? A licensed professional engineer is your best ally in these circumstances. Develop a relationship with a qualified engineering firm. They will manage construction and act on your behalf before and during construction or repairs. Have an engineer inspect the building to identify existing or potential deterioration. An engineer will initially conduct a site survey that includes visual observation and localized testing that could be both non-destructive and invasive if needed. Photographic documentation is taken to include with a written report describing the areas of concern and what is suggested to repair or prevent further damage. An opinion of repair costs is often included in the report to help guide the association manager to make the right decisions in budgeting and hiring contractors that will perform repairs. Water intrusion and damage is further detected using thermal imaging scanners. Thermal imaging devices can detect the presence of water under wallboard, membranes, and other surfaces. Non-destructive testing includes a hammer (sounding) test, chain-drag, pH testing, rebound-hammer, and many others designed to measure changes in the physical or chemical properties of structural concrete and masonry. 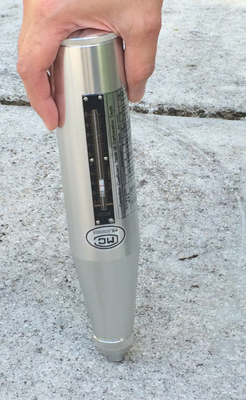 Corrosion can be identified using rebound hammers that provide data on carbonation, which over time will weaken concrete structures. (Figure 5). 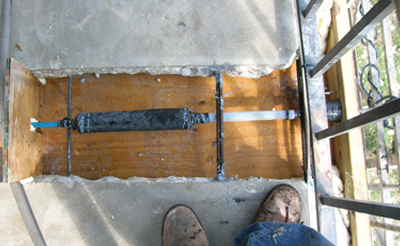 Figure 7 – An illustration of the underside of steel-reinforced balcony slabs. The Steel was located at the bottom of the slab, and you can see the rusted steel has expanded in diameter causing fracture of the cement paste and separation of the slab. Non-destructive testing also includes pH testing of the concrete; pH levels that fall below eight indicate that the concrete is no longer protecting steel reinforcement. Once the reinforcement is unprotected, spalling can occur. (Figure 7). In Florida, we must also concern ourselves with seawall corrosion since many properties are located on the water. (Figure 8). Overhangs, decorative columns, and eyebrows on historical and art-deco buildings have added issues where they attach to the building. Any place there is a connection or seam should be pitched and properly sealed to prevent water intrusion into the building façade. 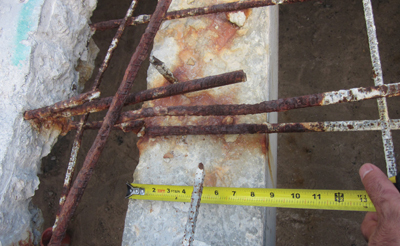 Figure 8 – This example of extreme corrosion has caused a section of sea wall to literally crumble due to expansion corrosion of the steel reinforcement caused by chloride contamination. Water, salts, wind, and sunlight will eventually take their toll on every building over time. Recognizing the early signs of corrosion can postpone deterioration. Be proactive and hire a good engineer to do an inspection and write a report with photos included. If it looks like you have multiple concerns, have your engineer do a feasibility study to educate your building owners, and budget properly for current and future work. Your engineer will help you prioritize and can discuss options with you and owners at your request. The engineer is concerned with your property condition but most of all your safety.